MetaEzra -- How Stingy is Cornell's Financial Aid? How Stingy is Cornell's Financial Aid? Today's New York Times is running a fascinating chart depicting the average financial aid packages at top private colleges and universities across the country. I've broken the data down to its core elements and list Cornell's key "competitor schools" (both Ivy and non-Ivy) in the table below. All dollar amounts are in thousands. 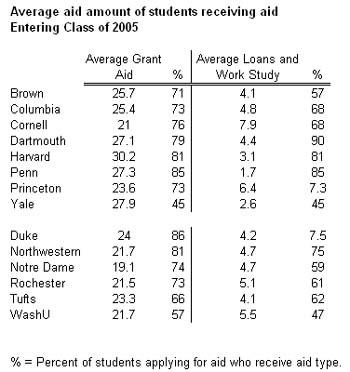 In general, Cornell provides less grant aid and more self-help aid (loans and work study) to students that qualify for aid than other schools in the Ivy League, but is on par with most of its non-Ivy peers. One thing's for sure: If Cornell is serious about attracting top-caliber students and competing with some of the other Ivies for students, Cornell's fundraising efforts better go extremely well. We can argue about the uniqueness of the Cornell experience all we want (and I believe we should), but it is harder to do so when a student is recieving $5,000 dollars more a year in grant aid at another school. Over the last decade the average salaries for Cornell's faculty have been brought in line with most other top private colleges on the East Coast. And after taking Ithaca's low-cost of living into consideration, Cornell's faculty gets paid much better in real terms than most of their peers. It's time that the administration started taking students's financial well-being seriously. - To a very large extent Cornell is hurt by the fact that it is not only a relatively poorer institution (on a per-student endowment basis), but it also features a relatively less well-off student body. It is easy to provide generous aid packages if you don't have a lot of students requiring them. This is something that the above table fails to take into account. For example, at Yale, only 41 percent of the student body qualified for need-based financial aid, compared to 52 percent at Cornell. So if you look at the average grant aid received by all students (not just students receiving grant aid), at Cornell it is around $8,300 per undergrad, whereas uber-rich Yale is only doling out $5,100 per undergrad. Changes things a lot, doesn't it? - It's unclear what effect Cornell's contract colleges (and discounted tuition for New York State students) have on these data. Given that around 20% of the student body are getting this discount, their "need" for financial aid is necessarily lower due to the discounted tuition, and may bias the average grant aid received downward. - Still, what's most damning for Cornell is its high reliance on loans. This is what Cornell is really going to have to address over the course of the next couple of years. Hopefully sooner than later. - One limitation of these data is that only private schools are shown; it would be interesting to compare out-of-state packages at places like Michigan, Virginia, and Berkeley with Cornell's own financial aid packages. 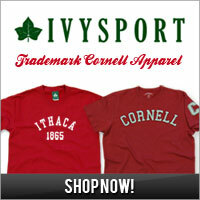 - Aggressively expand the Cornell Commitment programs, especially the Cornell Tradition. As a Tradition fellow myself, I know that the program--which combines work-study, volunteerism, academic achievement, and loan-replacement--is an inherently appealing to prospective students and their parents, and truly embodies the unique spirit of our alma mater. 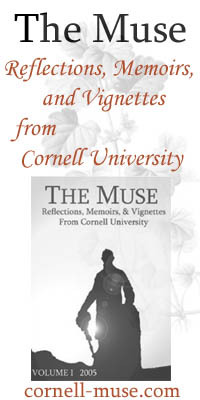 Indeed, it was one of the reasons why I chose to attend Cornell. - Continue to encourage transfer programs and early-graduation programs, which help to curtail the costs of financing the Cornell experience. In particular, some top-notch public universities have signed transfer agreements with top community colleges in their state--something that Cornell should definitely look into. Even being on Cornell's dynamic and energetic campus for two years, instead of four, can be an eye-opening, world-changing, and richly rewarding experience for many students.